August is a fabulous month in the vegetable garden. The summer crops are overwhelming us with their productivity (hopefully!) and the crops we sowed last month are coming along beautifully. But there are still plenty of options for planting in August. If all the space in your garden has been planted already, now might be the time to clear out some of the early season crops that have faded to make space for some August plantings. If you do, pay some attention to the nutritional needs of what you are planning to plant, and add soil amendments as needed. Some of the early crops may have depleted the soil of key nutrients, which may need to be replaced before the second round of crops. Or you can defy the heat of August and dig in some new garden space for this round of late summer planting; you will certainly appreciate the additional space next spring. Finally, some gardeners might choose container-friendly vegetables for this round of August planting. This choice makes it easy to move your crops around to take advantage of sunlight patterns that may change as the fall progresses. Unless specifically listed as "transplants," the items in the list below can be direct-sown in your garden as seeds during the month of August. Getty Images/ Maximilian Stock Ltd.
Arugula is a leafy green with a unique, peppery flavor that some people love and others (including Julia Child) hate. It's popular in salads, but can also be added to a wide range of cooked dishes. 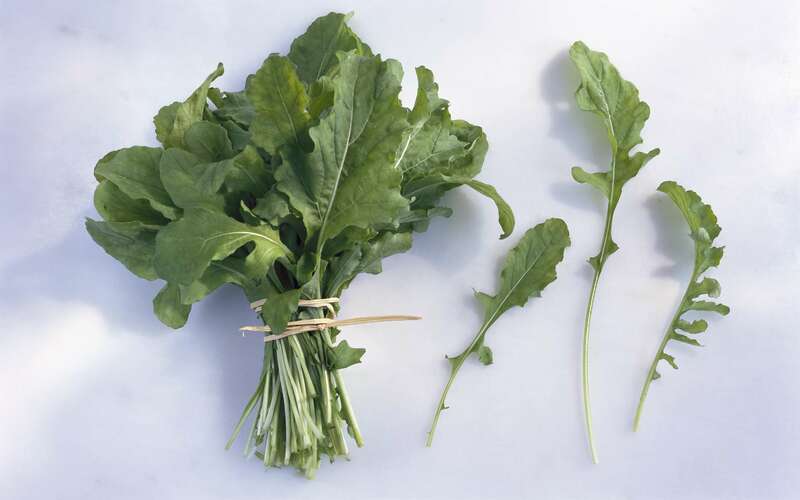 If you plant arugula, you'll have to select from one of several varieties, the most popular of which are called wild rocket and wall-rocket. One of the most popular cooking herbs in the garden, basil is a particular favorite in the Italian kitchen. Both the leaves and the flowers are edible, and they are often pureed with olive oil and nuts to form a delicious, versatile paste called pesto. Basil is easy to grow in many climates and can be cultivated indoors; it's worth your while to do so, as dried basil doesn't come close to the aroma and flavor of the fresh variety. Beets are fast-growing root vegetables that grow almost anywhere. Surprisingly, both the bright red root and the leaves are edible. While beets may sound boring, they can actually provide the basis for a wide range of tasty recipes such as pickled beets, beet salad, and wilted beet greens. You can actually harvest broccoli twice in a single season because they grow quickly and can be planted quite early. The part we eat is actually the broccoli flower; it's important to harvest broccoli early to avoid the possibility of the flowers opening up (and thus becoming unpleasant to eat). Brussels sprouts require a long growing season​ but can grow successfully in many regions. Once maligned, this nutritious vegetable has undergone a sort of culinary renaissance. Enjoy it roasted, tossed with bacon, sauteed, or included in a crunchy salad. Start your cabbages early in the season, and then reseed throughout the summer for an ongoing harvest. Cabbages tend to grow well in home gardens and are the basis for cole slaw and other summer salads. If you think you know all about carrots, think again. Those long orangey-yellow veggies in the grocery store are just the tip of the iceberg. You can also grow red, purple, or yellow carrots that are round or extra-thin. Different types of carrots do better in different soils, so it's worthwhile learning something about each variety because selecting the best option for your garden. In addition to eating them raw or diced and steamed, consider pickling carrots, roasting them, and using them as the basis for delicious summer (or winter) soups. Cauliflower seems to be the new "it" veggie, with cauliflower "rice" (grated cauliflower) taking the place of starchy grains and cauliflower "steaks" standing in for meatier dishes. It's not easy to grow​ and can take a whole season to ripen, but you'll certainly have plenty of ways to use your cauliflower harvest. Chinese cabbage, also called Napa cabbage, is a sweet, mild, delicate veggie that many prefer to the heavier traditional cabbage. It can be used in place of the more expensive bok choy, or grated and used in cole slaw. It does well in cooler weather, so many want to plant it later in the season. When you plant cilantro, you can harvest both the leaves (cilantro) and the seeds (coriander). Cilantro, an herb with a unique flavor, is ideal in Asian stir-fries and Mexican dishes. Coriander, a spice, is made by grinding up the cilantro seeds and can be used in curries and many other ethnic dishes. You'll need to plant cilantro frequently throughout the summer, as it goes to seed almost as soon as it's ready to harvest. Collard greens are non-head forming cabbages that can be steamed, sauteed, or braised. They're often associated with southern cooking; as many cups of collards cook down to almost nothing, a dinner that includes collard greens is often referred to as "a mess of greens." While ground corn is considered to be a grain, fresh corn is a vegetable. It's easy to grow, but it can be hard to harvest as humans are always in competition with corn-loving wildlife including birds, mice, raccoons, and squirrels. It can take two months for corn to mature, and many gardeners like to plant multiple varieties at different times so that fresh corn is always available through the growing season. Cucumbers grow only in warm weather, but they do grow quickly. Whether you choose smaller "pickling" cucumbers or the larger "slicing" variety, you can expect a good harvest if you start your plants well after the ground thaws. Dill is a culinary herb that goes well in salads, with chicken, and in many kinds of soup. It grows quickly and can be harvested at any time (its leaves are used for flavoring). Once it starts to flower, however, the harvest is over. Many gardeners grow a succession of dill plants so that the fresh herb can be picked throughout the growing season. A non-heading cabbage, kale is a powerhouse of nutrition and an increasingly popular veggie for health enthusiasts. Used in smoothies, salads, stir-fries, and even hash, kale is a cool-season plant that can take up to two months to grow. There are many different kale varieties, including flat and curly options. This frost-tolerant relative of the onion can grow into the winter months. This is fortunate, as it can take most of a growing season to mature. Leeks are typically used in soups and stews; their stems taste very much like a milder, sweeter onion. There are five main types of lettuce and dozens of varieties. Some take just a few weeks to mature while others can take the whole summer. Before planting your lettuce, take some time to learn about the many available varieties; then mix and match different types of lettuces in your garden. Be sure to schedule your planting times so that the lettuces are ready to be harvested throughout the season. Mache is a tender salad green sometimes called "corn salad." It can grow almost anywhere and often does well even in the heat of summer. If you plant succession crops every few weeks, you can continue to harvest mache well into the fall. Mustard greens are a favorite southern dish, often paired with bacon, ham, or salt pork. Before cooking, be sure your mustard greens are grit-free by rinsing several times. Most southern cooks sautee their mustard greens with fatback or ham before boiling them until tender. There are shelling peas, snow peas, snap peas, and soup peas. All are delicious (especially fresh) and all are relatively easy to grow. The key to a good pea harvest is to avoid the hottest part of summer, as pea plants cease producing when the weather is too hot. Potatoes come in every size and color, and different varieties require different growing conditions. You'll start by allowing your seed potatoes to sprout, and then you'll select a growing method (you can grow potatoes in trenches, holes, or containers). You can dig up new potatoes at any time during the growing season, or wait for full-sized potatoes at maturity. Radishes can be round and red or long and white, and they can be mild, sweet, or bitter. Some, such as the large Japanese Daikon radish, can grow in cold weather while others do best in spring or summer. While most people eat radishes in salad, radishes can also be sauteed, stewed, or added to Japanese sushi. Before planting, plan out your radish season so you can enjoy different radish varieties throughout the season. Spinach is a rather difficult vegetable to grow, as it dislikes both cold and hot weather and requires well-drained soil to thrive. It is, however, packed with nutrients and is a major ingredient in many recipes from a wide range of cultures. Spinach can do well in the fall, provided there is no frost. Summer squash can be grown from seed and thrives in the full, hot sun. Be sure your squash gets plenty of water and fertilizer, and you'll be overwhelmed with a bountiful harvest. Squash is terrific in stews and soups and can be "spiralized" and used in lieu of pasta for healthy, low-calorie meals. If you've never grown swiss chard, you're in for a treat. While it takes a while (60 days or so) to reach maturity, the glossy, delicious leaves are worth the wait. You can also grow chard in the fall in many locations. Chop chard and sautee it with olive oil and garlic, or use it in dishes that usually include spinach. Everyone loves tomatoes, whether they're large and beefy or tiny and sweet. And, of course, there are a hundred and one different ways to use tomatoes fresh from the vine. In most areas, tomatoes grow fairly quickly and are harvested well before the fall, but in the Southwest, you may be able to grow a crop of fall tomatoes. Like beets, both the root and the leaves of turnips are edible. Turnips are root vegetables that take about 60 days to mature, so it's possible to get two harvests in a single summer. Turnips are classic additions to soups and stews; they can also be mashed with butter or chopped for salad. Do be sure to harvest your turnips while they're still young and tender, as older turnips can be tough. 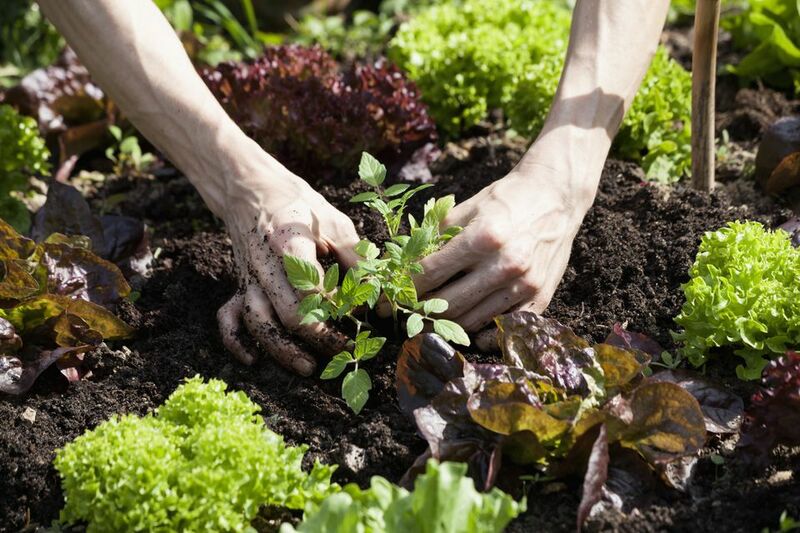 What Fall Veggies Can You Plant in September?